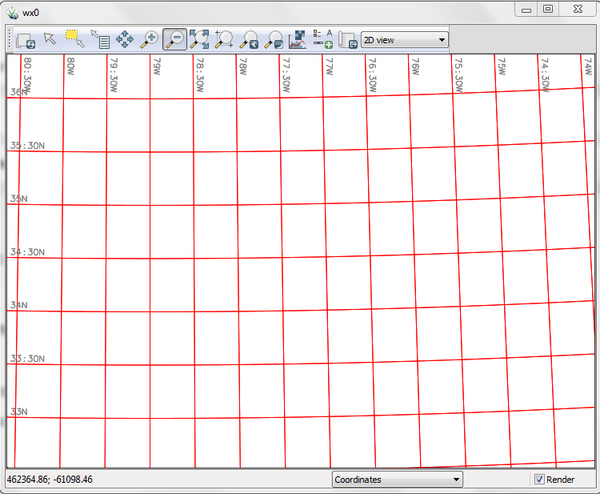 d.grid - Overlays a user-specified grid in the active display frame on the graphics monitor. 0 for north-south resolution of the current region. In map units or DDD:MM:SS format. 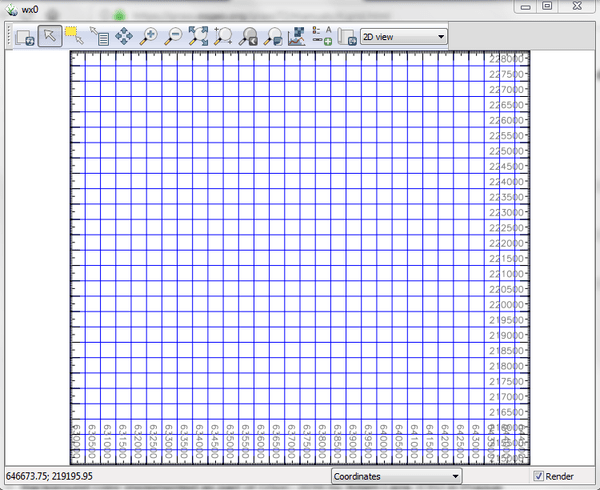 Example: "1000" or "0:10"
d.grid overlays a grid of user-defined size and color in the active display frame on the graphics monitor. The grid can be created as a standard rectangular grid or a geographic grid. If the user provides a -g flag a geographic (projected) grid will be drawn. With the -g flag the size argument accepts both decimal degrees and colon separated ddd:mm:ss coordinates (eg. 00:30:00 for half of a degree). A geographic grid cannot be drawn for a latitude/longitude or XY projection. Colors may be standard named GRASS colors (red, green, aqua, etc.) or a numerical R:G:B triplet, where component values range from 0-255. Grid color can be set with option color. Options text_color and bgcolor set the color of the text and its background. To draw grid lines at different intervals, e.g. at high latitudes, you can run the module twice, once with direction=east-west at one interval size, and again with direction=north-south at another interval size.